ALU-MATE is a company based of quality, cost, delivery, manufacturing, research and development, and services to create customer value for the goal. Specialized in aluminum alloy OEM/ODM manufacturing, the factory is located in Taiwan, focusing in the production of various senior bicycle racks and accessories. Founded in 1997 by a group of people who love bicycles and are very specialized in the production of bicycle frames, ALU-MATE has already been engaged in different fields of bicycling before 1997. Our team has more than 28 years of R&D and manufacturing experience. The main products are all kinds of E-BIKE, suspension, CARGO BIKE, BMX, recumbent, ROAD, TANDEM, Trial, Dual Slalom and so on. At present, it also cooperates with many well-known brands in Europe, America, North America, Japan and South Korea to supply its products. In the R&D and manufacturing, it actively assists customers to meet their needs in the market, and hopes to strengthen the entire supply chain by TOTAL SOLUTION, as well as cooperates with the Bicycle Technology Research Center (CHC) to test the performance and intensity of new products developed. 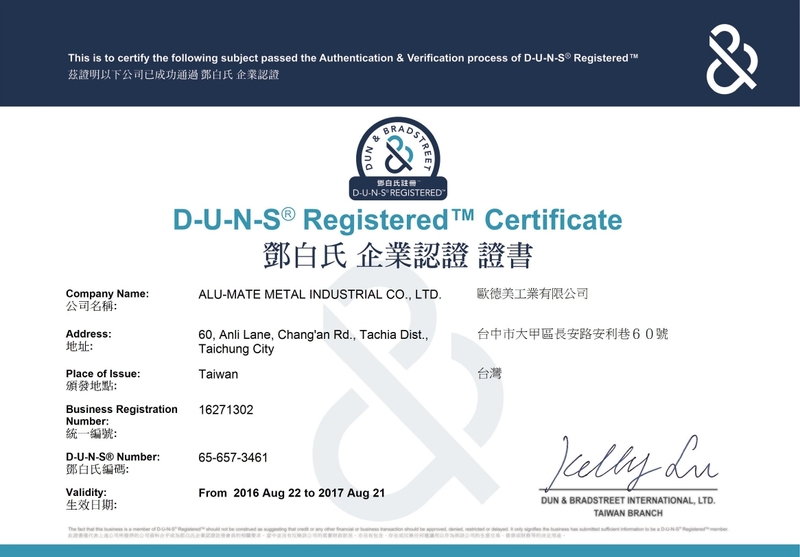 If you are interested in ALU-MATE’s products or need to develop new aluminum frames or accessories, please feel free to contact us and we will be happy to help you.